Wear your love of a galaxy far, far away with these collectible Star Wars: The Last Jedi enamel pins! 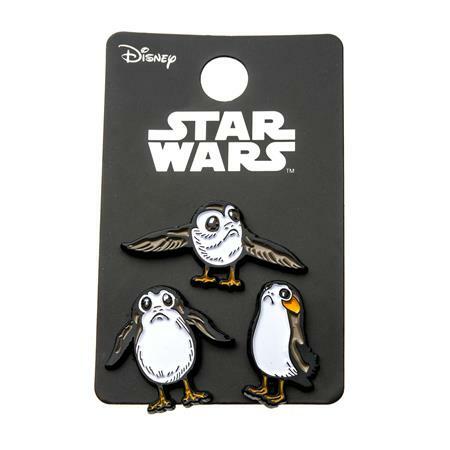 Set includes three enamel collector pins of Porgs in various poses. Pins come packaged on a licensed backer card.